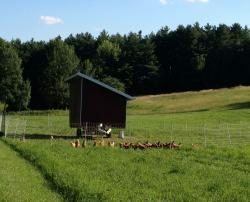 At Eden Pond Farm, we specialize in free range, humanely treated, pastured poultry. Our meat birds and laying hens forage freely in (non-certified) organic pastures and are fed grain free of growth hormones and antibiotics. The result: delicious, tender chicken and eggs with glorious golden yolks. We sell eggs and USDA-inspected whole and pieced chicken year-round retail from the farm and at Greenfield Farmers Market, as well as to farm stores, caterers, restaurants and schools. We are proud to be certified by the Farmer Veteran Coalition to use the Homegrown By Heroes logo on our products, in recognition of co-owner Roland Kinsman’s military service in Vietnam. 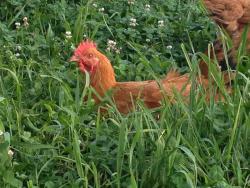 (413) 695-4653 We sell chicken and eggs directly from the farm. Fee free to stop in anytime, though you may want to call ahead to be sure someone will be here. 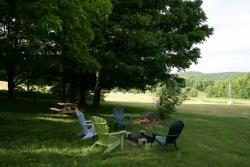 If you are looking for a quiet rural getaway or want your kids to have an authentic farm vacation, consider spending a weekend or week with us! Our tranquil setting is perfect for unwinding and exploring. 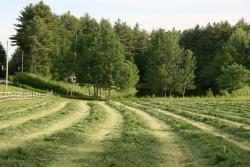 Join us for farm chores if you’d like! Please call or email for details.